My copy of Bill Drummond’s new book 100 arrived today. It features answers to 100 questions. 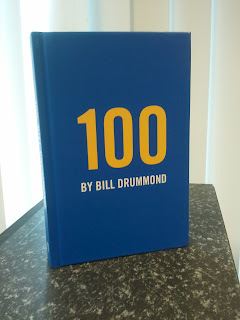 Each interviewer was restricted to 4 questions which Drummond must not have been asked before. More information about the book can be found in this Guardian interview (Questions 101-104). The theme for issue 3 of Canned Magazine is COLLABORATION, EXCHANGE AND COLLECTIVE ACTION, and features an article I co-authored with Iris Priest, Andrew Wilson and Chris Witter about the A Newbridge Enquiry exhibition Andrew and I were part of in February.